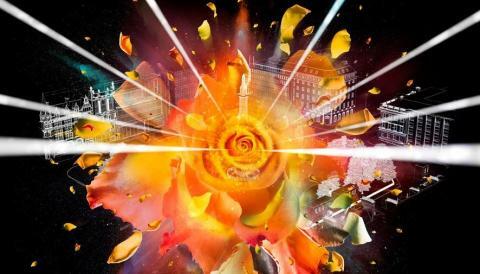 Tonight St Andrew Square will be awash with colour and sound as the Edinburgh International Festival celebrates the start of its 70th anniversary Festival with the Standard Life Opening Event: Bloom. This is the third year of the Festival’s epic outdoor opening event and the third year EventScotland, part of VisitScotland’s Events Directorate, has supported the event. Over the years, we have partnered with the Festival on a number of different projects and initiatives, however, in 2015, and under the new directorship of Fergus Linehan, they came to us with a bold, new idea - to create the Festival’s first free, major opening event. As one of Scotland’s signature events, working with the Edinburgh International Festival to introduce a ground-breaking new open event to attract new audiences absolutely aligned with the National Events Strategy - Scotland the Perfect Stage. So in 2015 we made a three year commitment to support this new and inclusive style opening event, giving them the security to develop the event and look for commercial sponsorship for the future, which they did last year when Standard Life came on board as title sponsor. The vision of the Festival along with the support of ourselves, the University of Edinburgh, Standard Life and other key partners, has seen the Festival quickly build a new tradition in Edinburgh for a spectacular outdoor opening event using the City as the backdrop. In 2015 we were mesmerised by the projections onto Usher Hall for Harmonium, while in 2016 Deep Time used the iconic Edinburgh Castle and Castle Rock to wow us. This year, Bloom will not only transform a building but use the facades around St Andrew Square in Edinburgh’s New Town to create a vast canvas for projection-mapped animations. The Square will become an immersive environment of colour, texture, sounds and sensations that places the audience at the centre of a visually stunning digital constellation allowing them time and space to explore while listening to a specially commissioned musical score. The partnership with the Edinburgh International Festival has been truly rewarding. It has allowed us to raise Scotland’s international profile as the perfect stage for events and boost the economy by attracting more visitors. Each year the Festival has pushed the boundaries, going for something more amazing and more epic than the previous year. This year will be no different and I cannot wait to the response to this year’s event.